Every Silly brewer is driven every single day by a passion for quality. They take turns to taste the beers to ensure they meet the highest standards. At every brewing stage, the brewery lab carries out physical, chemical and microbiological tests to ensure the beer is the best it can be. Their passion for quality prompted the Brasserie de Silly to join the international Slow Food movement and the local organisation, the Tastes of Silly. The Slow Food ethic is all about eating in a ‘good, pure and right’ way: it’s about good food with plenty of favour that is produced with respect to the environment by producers who are able to earn a proper living. This philosophy suits the brewery to a tee. Brasserie de Silly uses the shortest supply chain possible to find the majority of its ingredients: malt, water, hops and yeast. Malt, one of the main ingredients, is sourced from local farms that produce top quality barley. The pure spring water is pumped up from an average depth of 40 metres. This water is filtered naturally by underground rocks and so it is as pure as can be. The hops that lend the beer its bitterness are sourced from Germany, England, the Czech Republic and the USA. The extraordinary yeast used by the brewery dates back to 1850 and has been fine-tuned ever since. This yeast gives a unique touch to the Silly beers and contributes to their incomparable taste. Brasserie de Silly is also a member of Belgian Family Brewers. This association’s label guarantees the origin of authentic Belgian beers and assures you that you beer has been produced in the traditional way. Silly has also joined the national Belgian Brewers federation, one of the oldest professional associations in the world, established to promote Belgian beer and to offer guarantees to consumers as well any official quality control bodies. Abbaye de Forest is an abbey beer. This recognised Belgian abbey beer is protected by a collective label and meets specific criteria that apply only to members of the Belgian Brewers Federation. Around 50 abbey beers are brewed in Belgium but there are only about 20 that warrant the accolade of ‘recognised abbey beer’. Abbaye de Forest: Australian International Beer Bronze Award 2009, Best blond Abbey beer in Belgium – Nieuwsblad 2011, Best Belgian Beer of Wallonia – Prix d’ excellence 2012. 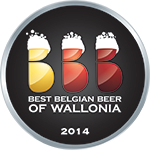 Pils Silly: Best Belgian Beer of Wallonia – Prix d’ excellence 2014. Saison Silly: Asia Beer Awards – Gold 2010, Brussels Beer Challenge – Silver 2013. Scotch Silly Porto Barrel Aged: Brussels Beer Challenge – Honorary mention 2013. Titje Blanche: Australian International Beer Silver Award 2009, Sochi Beer Festival Russia – Silver 2012. The craft beers of Brasserie de Silly have been appreciated throughout the generations thanks to their quality. Have you tasted our beers yet? Click here to find out where you can buy or taste them (link to retailers).